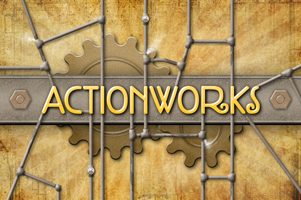 Actionworks™ is a fast-paced, easy-to-learn, industrial-themed card game. 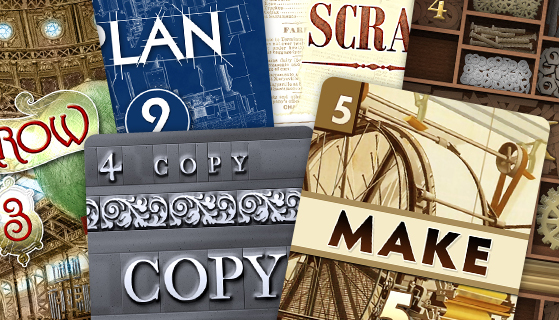 Cards represent types of actions in a factory. Play cards to change what's available in the factory, or save cards of your type for points at the end. 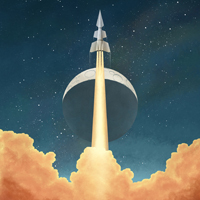 Play a round with the three simplest card types, then add new types when you're ready. Each round takes about ten minutes to play.